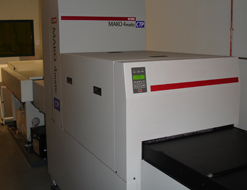 With best image equipment system, we provide the best quality and color to our customers. We also offer complimentary training and recommendations on file creation specifications. We work with you to ensure that your page layout program combines all your fonts, images and text correctly for optimum results through our imaging system. For customers convenience, we accept your files electronically via the Internet through our powerful FTP Servers. We support standard file formats including PDF and Postscript. 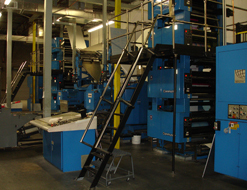 With many years of press experience, our pressmen produce top-quality work. 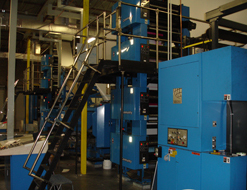 They operate Brand New Goss Community Press that is one of the mainstay of our printing operation. The Goss press is fully equipped to handle your broadsheet, tabloid, book and digest requirements. It achieves speeds of up to 40,000 impressions per hour and provides proven print quality in single, spot and process color. This allows us to meet or exceed your expectations for superior color, high quality and on-time delivery. 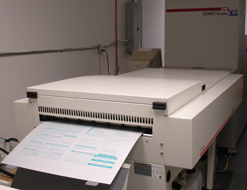 For your printing convenience, we offer a variety of uncoated sheets – from 28-lb. newsprint to 70-lb. book stock. Both virgin and recycled stock are available. Global Cybernet Printing is committed to using environmentally-compatible materials and processes throughout the manufacturing cycle.